This tutorial shows how to manage, create and use the windows environment variables with your novaPDF printer driver. With novaPDF you can create PDF files from any windows application that can support printing. If you don't have novaPDF installed, use the Download page to download and install it. Environment variables are strings containing information about a drive, path, file name or file extension and can also control the way certain programs behave. The PATH environment variable is basically the absolute path or address (e.g. C:\Program Files\Softland\novaPDF v7\) of a folder or file, that lets the application know how and where to find that path. 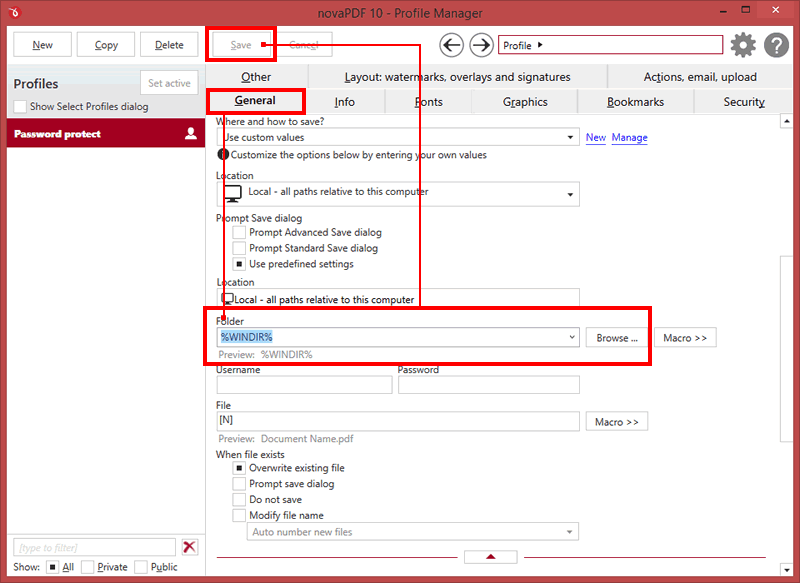 novaPDF supports the PATH environment variables to be added on its Save folder so you do not have to add the whole path over again, or you want it to be automatically adjusted when something changes in your installation. Note: Custom created environment variables can only be used on the local computer. This tutorial shows you how to use predefined Windows environment variables and custom created environment variables with your novaPDF printer driver. If you have any suggestions on how to improve this article add a comment or rate it. This tutorial shows how to manage, create and use the windows environment variables with your novaPDF printer driver. With novaPDF you can create PDF files from any windows application that can support printing. If you don’t have novaPDF installed, use the Download page to download and install it. Reduce the size of the generated PDF file when the document contains multiple images.